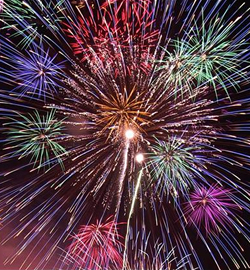 The 2nd female pyrotechnicians' contest was held in Kyowa, Akita, Japan. 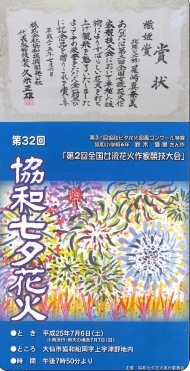 It is the only contest specialized for female artists, and the title must be HAIKU (Japanese old-fashioned short poetry). The contest was judged by its originality and ingenuity. 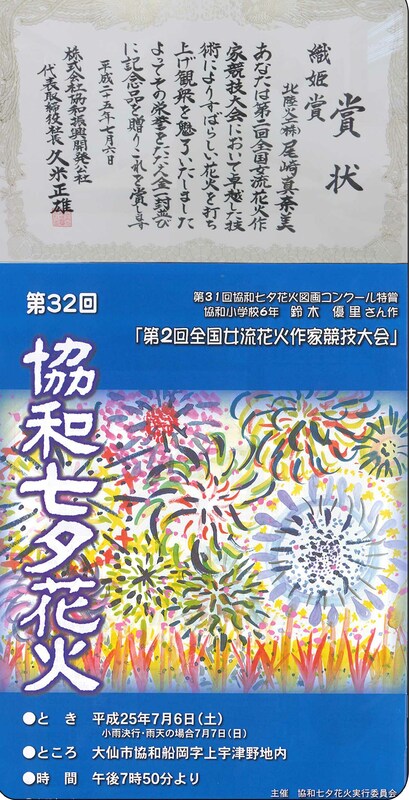 And it is also important that the title is in consistensy with the fireworks. We keep working hard to achieve the grand prize with our improved pyrotechniques and sense of HAIKU. In addtion, the trophy of this contest is made of Akita's famous wood, Japan cryptomeria.